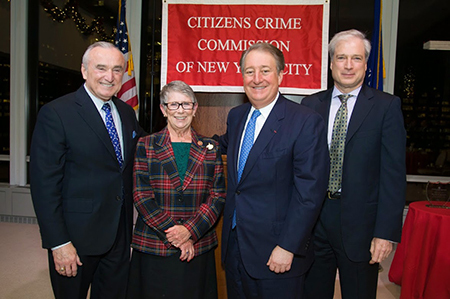 Each year the Citizen’s Crime Commission of New York City (CCC) honors individuals for their leadership and service in the criminal justice field. The Crime Commission created the Humanitarian Award to recognize individuals who have made significant contributions to the field of criminal justice. 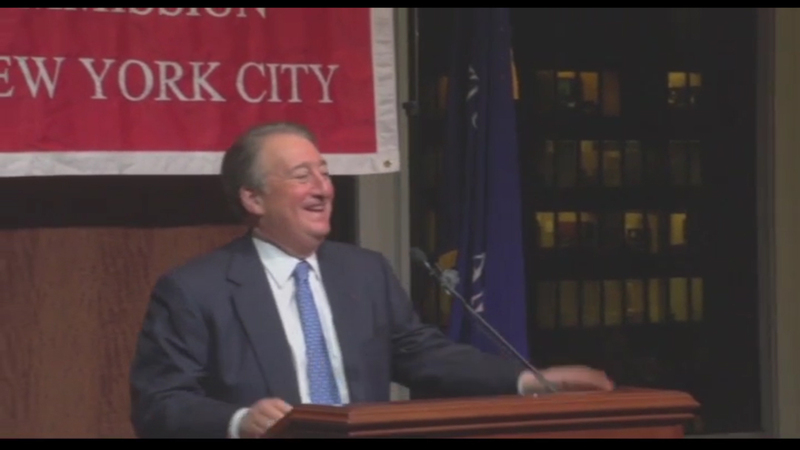 Howard P. Milstein was chosen as the first recipient of the award, presented at the CCC’s annual Awards Ceremony. Also recognized at the Awards Ceremony were New York Police Commissioner William Bratton, recipient of the Theodore Roosevelt Leadership Award for pioneering leadership in the field of criminal justice, and Representative Carolyn Maloney (D-NY), who received the Lifetime Achievement Award, which recognizes visionary leaders who have demonstrated a life-long commitment to improving public safety. Citizen Crime Commission President Richard Aborn presents the 2014 Humanitarian Award to Howard Milstein.